A bipartisan group of members of Congress have unveiled a bill that would try and pressure Speaker Paul Ryan and the GOP leadership in the House to vote on immigration legislation. Republican Reps. Jeff Denham, Will Hurd, and Mike Coffman held a press conference Wednesday alongside Democratic Reps. Michele Lujan Grisham and Pete Aguilar to discuss their rule legislation, would allow for a "queen of the hill" vote on four separate immigration bills. If passed, the House would vote on all the bills, and the one that receives the most votes would advance to the Senate. The legislation that would be considered by the House includes a conservative immigration bill sponsored by Republican Rep. Bob Goodlatte that passed the Judiciary Committee, a version of the DREAM Act sponsored by Democratic Rep. Lucille Roybal-Allard, and the bipartisan USA Act sponsored by Hurd and Aguilar. The House would also vote for a bill of Ryan's choosing. Denham, who is spearheading this push, said he has 50 Republicans and 190 Democrats cosponsoring the rule bill that would allow for the vote. He said his goal is for Speaker Ryan to put the package of bills on the floor because the number clearly demonstrates that a majority of members of Congress want a vote on immigration legislation. "It's time for a full debate. Let every member answer where for they stand on immigration in front of their districts and in front of the American people on what we're fighting for," he said. The real question that remains is whether Denham can get all of the supporters to sign onto a procedural measure to sign a discharge petition, which would force a vote even if the leadership refuses to put it on the floor. Denham says they hope that won't be necessary because, "when you can show the overwhelming majority of the House that is supportive of this, you shouldn't need a discharge petition." 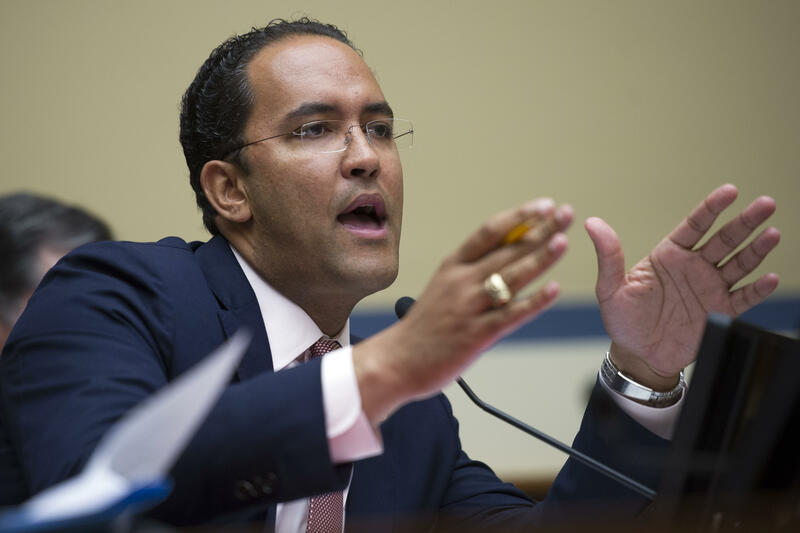 Hurd, another one of the Republican leaders, said, "We're all still hopeful that leadership recognizes that the will of the House wants to see this vote but we're going to reserve the right to use all the tools in our toolkit in order to get that done, and we'll address all of our options at the appropriate time." Ryan has repeatedly said he won't bring an immigration bill to the floor that the president won't sign. "Our goal is to get a DACA and border security solution into law, and we certainly don't want to pursue a strategy that the president won't sign," his spokesperson, AshLee Strong, said after the press conference. "Republicans made three good-faith offers during the omnibus negotiations and Democrats declined all of them. We continue to work to find the support for a solution that addresses both border security and DACA." Many of the rule legislation's Republican backers represent competitive swing districts or are retiring. The list of Republican cosponsors includes Reps. Ileana Ros-Lehtinen, who is retiring and represents parts of Miami; Ryan Costello, who is from suburban Philadelphia; and Elise Stefanik, whose district encompasses a vast part of rural upstate New York. Vulnerable Republican incumbents including Reps. Coffman, New York's Dan Donovan, and New Jersey's Leonard Lance are also supporters. Who are the Republicans who are retiring in 2018? Denham and Aguilar tried unsuccessfully late last year to advance bipartisan legislation that would have resolved the legal status of "dreamers" and made changes to the nation's border security operations. But with conservative Republicans strongly opposed to their legislation and more interested in advancing a conservative proposal, they failed to get a vote. Even if the bipartisan group's plans were to ever advance in the House, there is no clear path ahead in the closely-divided Senate, where Democrats and Republicans have mostly abandoned attempts to resolve the issue in the coming months. And President Trump's level of support for any piece of legislation is unclear, given that he recently tweeted that he no longer supported legalizing the status of roughly 1.8 million young immigrants as part of a broader immigration agreement.